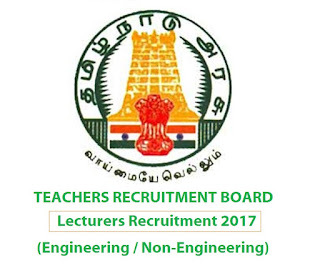 Tamil Nadu Teachers Recruitment Board (TRB) Recruits 1058 post vacancies for Lecturers in Govt. Polytechnic Colleges, the following Engineering / Non- Engineering Candidates, Civil Mechanical Electrical & Electronics Electronics & communication Instrumentation & Control Computer Science Information Technology Production Engineering Textile Technology Printing Technology English Mathematics Physics Chemistry Modern Office Practice Can Apply Online before 07.07.2017. 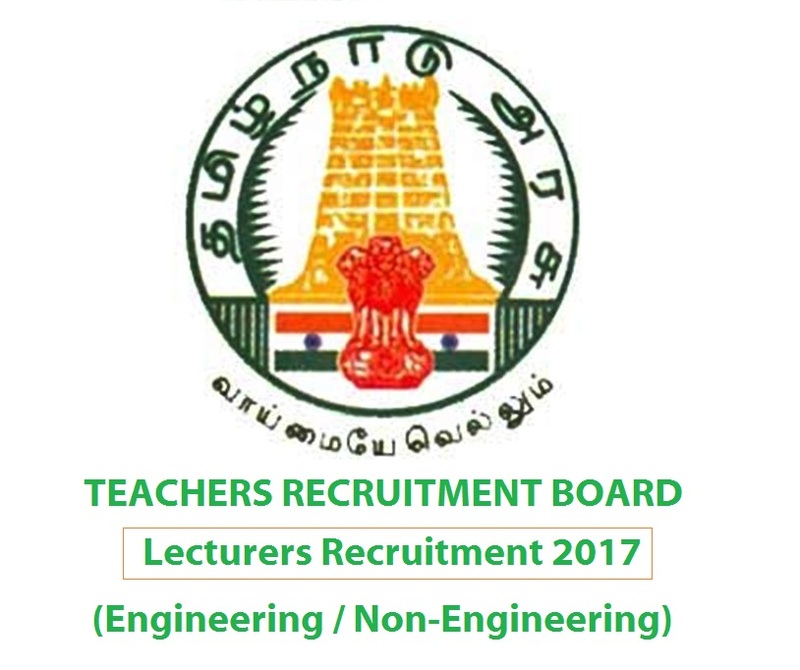 Applications are invited only through online mode from eligible candidates upto 11.59 P.M on 07.07.2017 for the Direct Recruitment of Lecturers (Engineering / Non- Engineering) in Government Polytechnic Colleges for the year 2017-2018. Candidates should not be over 57 years as on 1-7-2017 as the age of superannuation is 58 years. A first class Bachelor’s degree in the branch of Engineering relating to the post concerned. a. The candidates have to pay a fees of Rs.600/- (Rs.300/- for SC/SCA/ ST and PWD candidates towards examination fee payable only through online net banking /credit card / debit card. b. The candidates have also to pay the service charges as applicable for online payment. c. Off line mode of payment in the form of Demand Draft / Postal Order etc. will not be accepted and the applications forwarded with such modes of payments will be summarily rejected. d. The application process is entirely online. No application in paper will be accepted by TRB. 2. Evidence for claims made by the candidates while applying in online should be submitted by the candidate at the time of Certificate Verification, if called for. i) The written examination will consist of a single paper of 3 hours duration with 150 MCQs. b) Awarding weightage marks during Certificate Verification. The Written Competitive Examination will be held on 13.08.2017 from 10.00 A.M to 1.00 P.M. The venue for the Examination will be intimated in the Hall Ticket. The Hall Tickets for the eligible candidates will be uploaded by the TRB in its official website. The candidates are advised to refer the TRB website for details www.trb.tn.nic.in No written communication will be sent to the candidate. The decision of the Teachers Recruitment Board on the eligibility of the candidate to appear for the examination will be final.